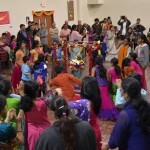 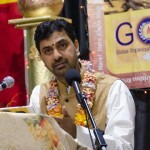 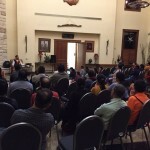 By the immense grace of Sri Swamiji, Dallas GOD chapter celebrated its annual Madhura Utsav with Sri Ramanujam ji in grandeur during the Thanksgiving season this year from November 21-28 2015. 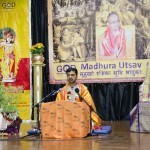 The Utsav started off on Saturday November 21st, on the auspicious Kaisika ekadasi day with Gatasthambham and recitation of Srimad Bhagavata Mahatmyam in the Guruvayurappan temple hall. 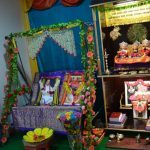 On Sunday, November 22nd 2015, Brindhavana Dwadasi day was celebrated with Tulasi kalyanam with elegantly decorated holy Tulasi plant and Amla plant along with the rendition of Sri Swamiji’s composition on Tulasi devi. 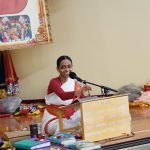 In the evening, the most awaited Sri Ramanujam ji’s discourse started on Sri Krishna Kathamritham, just the sweet Krishna Leelas from Canto ten of Srimad Bhagavatam. 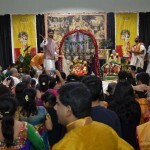 Sri Swamiji’s grace was so evident throughout the Utsav. 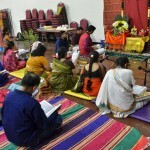 Every morning began with Prabodhanam and Parayanam of Srimad Bhagavatam and all 12 Cantos were completed by the end of the seventh day by the Bhagavatas. 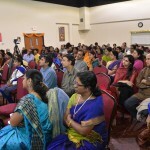 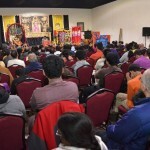 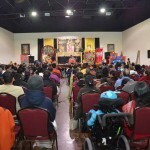 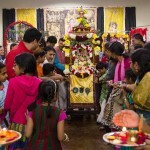 Apart from the local devotees, many devotees flew from Atlanta, Detroit and drove from Houston to take part in the beautiful Utsav. 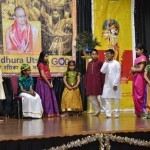 Ashtapathi was rendered in the afternoons. 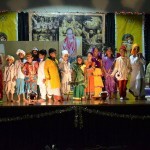 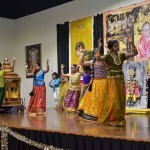 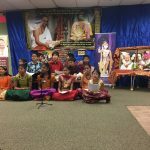 Gopa Kuteeram kids from Frisco, Plano and Coppell performed beautifully in front of the Lordship and Sri Ramanujam ji. 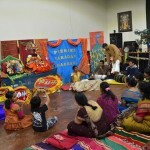 Hari Katha was rendered beautifully by almost all the Dallas GOD kids. 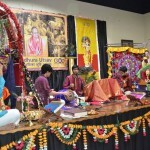 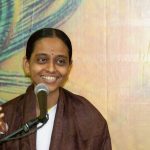 Madhurageethams, kirtans composed by Sri Swamiji, were rendered by Shreya Ashok during Nikunjotsavam an auspicious occasion where the divine couple is swinging in a beautiful garden and Adhithya Murthy on the Radha Kalyanam day of the Utsav. 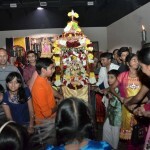 feet of little gopis (girls) were applied. 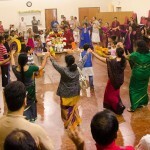 Ladies and kids danced around the Lordships celebrating the Rasa Poornima and the karthikai deepam night with joy. 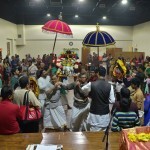 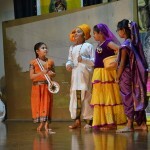 Divyanama by ladies and kids with kollatam sticks were performed after the discourses on few days during the Utsav. 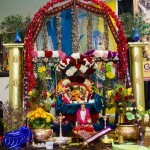 Govindha Pattabhishekam and Nikunjotsavam were celebrated the next day with lot of varieties of food for the Govardhan Maharaj and beautiful floral decoration around the divine couple who were seated on decorated swing respectively. 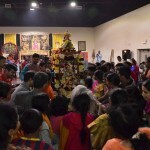 Then on the following day, Janavasam was celebrated with all the Gopis and Gopas and many compositions of Sri Swamiji were sung. 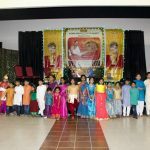 Kids played unique pieces from Sri Swamiji’s compositions on their instruments (violin, clarinet, mrudhangam and flute) during the Janavasam (procession) for the Lordships and concluded with Dolotsavam. 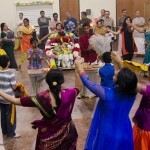 The final day Novemver 28th, began early with the preparation for Radha Kalyanam for both the divine couple. 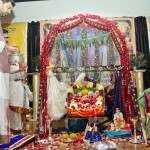 The grand wedding was performed amidst the holy chants of Lagnashtakam and other auspicious slokas. 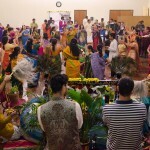 Despite the bad weather, around 250 people took part in the grand wedding. 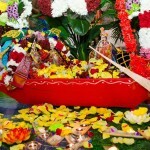 After the grand wedding, lunch was served on banana leaves to all. 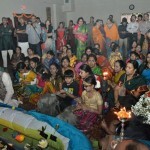 All the devotees along with their family took Kalyana akshadai, prasad from Sri Ramanujam ji. 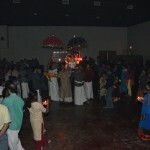 devotees. 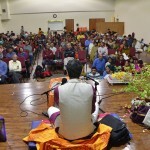 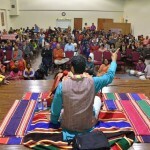 Around 180 people came on all 7 evenings to listen to Sri Ramanujam ji’s katha. 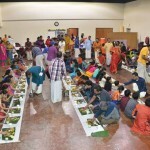 Breakfast,lunch and dinner were served on all 7 days. 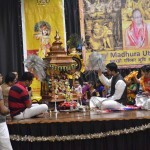 Prayers to the holy feet of our GuruMaharaj for many more such blessed utsavs.